As with Android running on a smart phone, the most important application as far as Google is concerned, and more important than the OS itself, is the web browser. It provides the ‘run time’ for Google applications – search being the most lucrative – regardless of what operating system is powering the device. The company’s investment in Android is all about replicating the ‘open web’ that exists on the PC by standardizing the web browser – and therefore the platform – on mobile phones. Netbooks, in their current state anyway, don’t need such a helping hand as they already run a standard desktop web browser, the same as any other PC. And this explains why Google isn’t focused on porting Android over to traditional Netbooks, although it won’t/can’t stand in the way of others doing so. Instead, we can expect the company to start targeting Netbooks by tweaking the UI of its existing web-based applications to provide a better user experience on a PC with a 7-10 inch screen, in the same way that it already does for users of Apple’s iPhone and iPod touch, and other mobile phones, including those running Android. In fact, a recent advert on Craigslist indicates that the company is preparing to do just that. Do you use a Netbook? 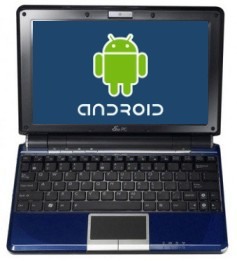 A Netbook is a small portable laptop computer with a screen smaller than 10 inches and no CD/DVD drive. If you use a Netbook, we want to talk to you about participating in a research study. This study will help the Google team better understand your needs in order to incorporate them into future product enhancements. That’s not to say that Google won’t ever put resources into developing a version of Android for a device other than a mobile phone, it’s just unlikely to do so for a traditional clam shell and non-touch screen Netbook or any other hardware that can comfortably run a PC operating system. 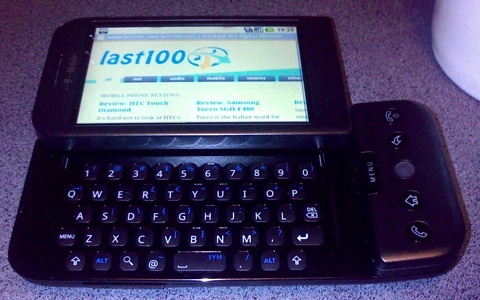 Related: ‘Android’s biggest Netbook challenge (Hint: Windows)’. Were a new breed of Internet tablets to take off in numbers that rival or better the current crop of Netbooks, however, then that could be a different matter altogether.